This May I (somewhat spontaneously) jetted off to Peru by myself to explore on my own for two weeks. It was my first time experiencing solo travel and it was such an invigorating adventure. I'll be sharing my experiences and photos over the next few weeks here on the blog and on my instagram. You can find part 1 here, and part 2 here. After my morning trek up the sand dune in Huarcacina and a last stroll around the lagoon, I decided that it was time to finally venture off onto the next leg of my journey. The night before I had had a conversation with two women – Irish doctors who were travelling South America together for a few months. Over dinner I had spoke of my tentative plans and ideas for the next two weeks… And they totally changed my mind about most of my trip. 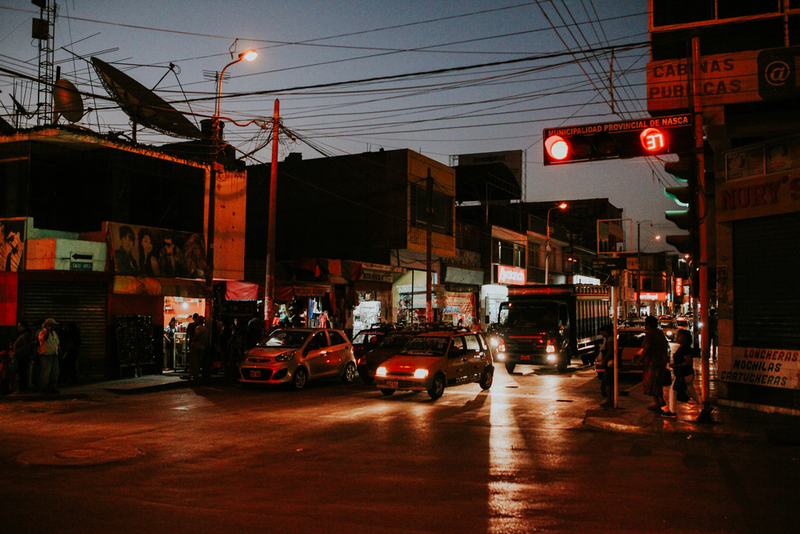 I was feeling a little wobbly leaving Huarcacina due to the changes I was going to make, but I caught another cab and headed straight to the bus station to catch the next bus to Nazca a few hours away. 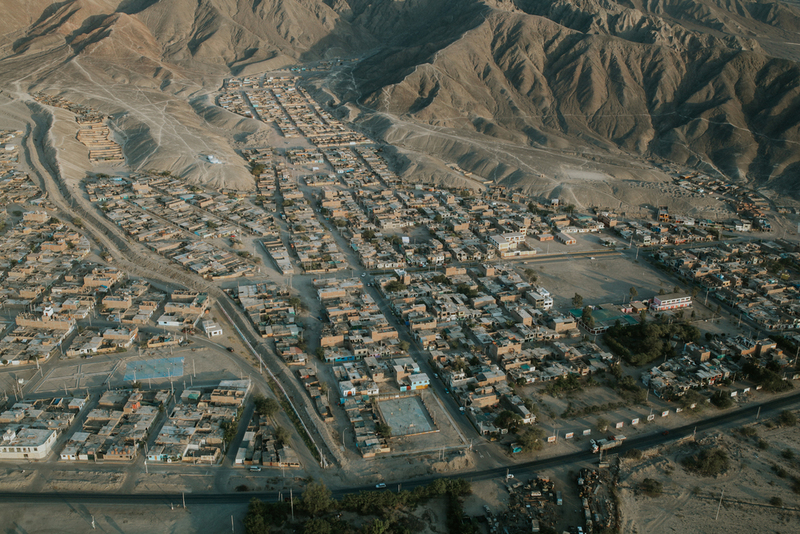 I wasn’t even planning on staying a night in Nazca and was just kind of hoping I could waltz into the town, get on a flight to see the lines, and then leave again. 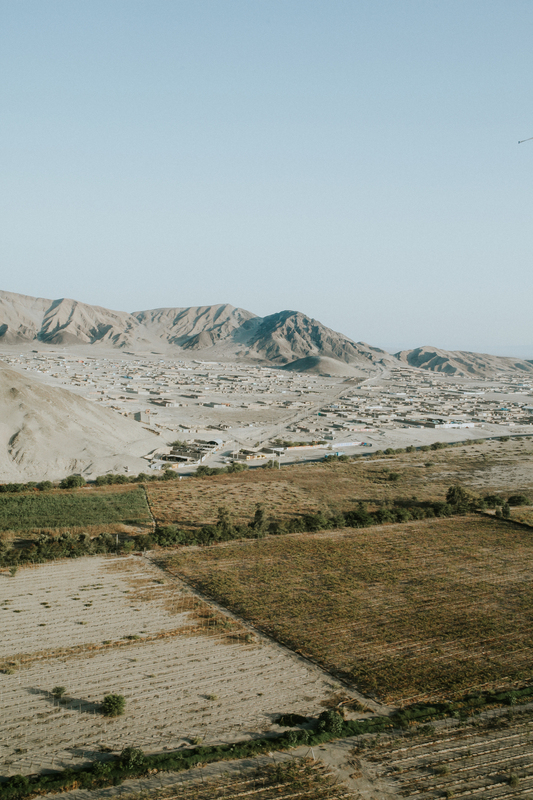 I took a cheap local transport bus that was hot and dusty all the way to Nazca – I didn’t mind because I sleep most lengths of bus rides anyways. I had made friends with two girls from the Netherlands in the bus station and hung out with them in the terminal. To me travelling is so exciting because you never know when a new acquaintance is around the corner – these girls had been travelling separately, met a few weeks ago, and liked hanging out together so much that they decided to travel together (remember these two were strangers previously!) for a few weeks before going their separate ways again. 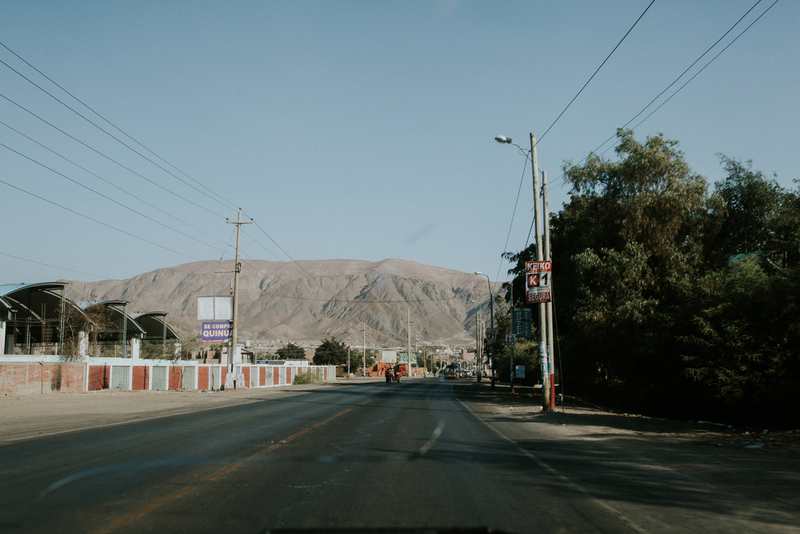 Getting off the bus in Nazca was a little different than in Huarcacina. In Nazca, because I looked lost and confused, especially with my big backpack, the people who are waiting when you get off the bus definitely pounced on me. I didn’t have anywhere to go, had no idea what to do, and generally was groggy and cranky from waking up from my stuffy bus nap. I remember asking one of them where the nearest travel agent/flight co-ordinator was, and off I went in that direction with my backpack and hiking boots hanging from the back. 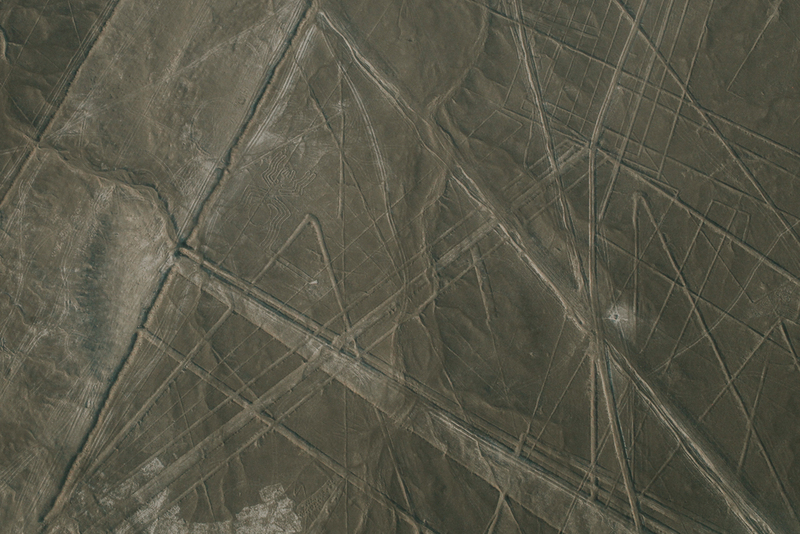 I was in Nazca for the day with really only one goal: get on a relatively cheap flight over the Nazca lines. I arrived around 3pm and was quite aware that time was not on my side: flights stop flying around 5pm so if I wanted to get on a flight, I needed to figure out my game-plan quickly. The tour operator I arrived at couldn’t get me onto a flight. Everything was booked up with his company and he suggested a different one to me. I walked around the town with no success finding this particular company, but at one point I ran into the girls that I had made friends with in the bus station in Huarcacina. They told me that they booked an overnight bus to Arequipa (where I thought I would go next) and that they were able to leave their bags there until the departure later that evening. I thought: of course! Why didn’t I think of that?? Since I was across town and tired of walking with my backpack, I hailed a cab and asked to go back to the bus station. The cab driver spoke a bit of English and was asking about my plans for the day. I told him I was trying to get a flight but I wasn’t sure if it was going to work – he goes on to say that he has “connections” at the airport and he’ll give me taxi + flight deal (basically that I would only pay this certain price for the cab to the bus station, from bus station to airport, and back to bus station, as well as the flight price). 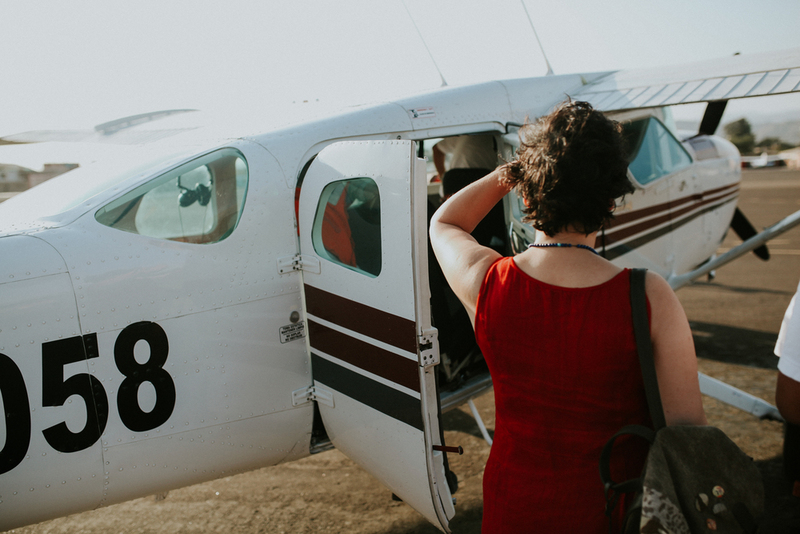 I was a little wary but he was assuring me that I could walk into the airport itself and book a flight, and that this was my best and cheapest choice. 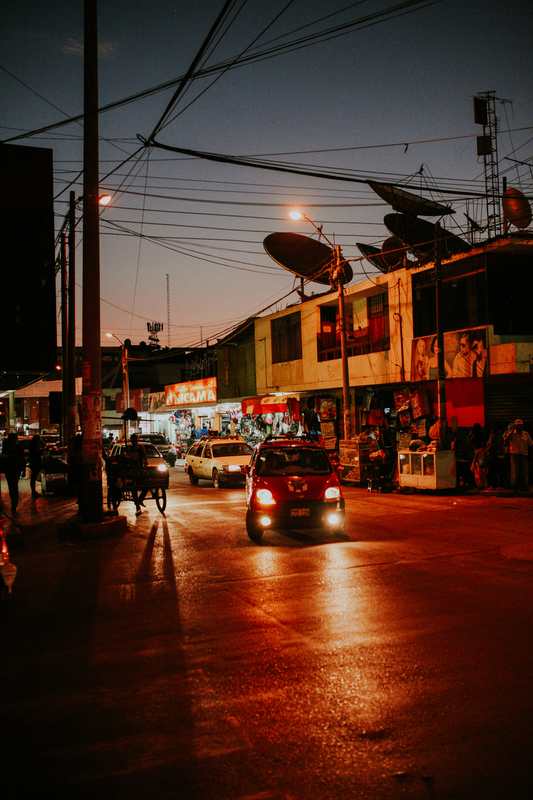 I told him that I would think about it while I booked my overnight bus to Arequipa that night – and decided that itwould be my best chance at getting on a plane that afternoon. So I got back into the cab and bartered flight prices with him all the way to the airport. He ended up being completely truthful in everything that he as claiming and offering, and worked really hard to make sure that I got on one of the last flights of the evening. It was rather strange to be talked about in Spanish (at the flight ticket agent office) and being told to sit here or stand there. But eventually I was getting my passport stamped with a Nazca stamp and walking out onto the tarmac, getting into a 6 seater + 2 pilot plane! (Meanwhile, while writing this I totally see how completely sketchy and unsafe this all sounds... Trust me, it wasn't that way in real life and I never felt unsafe/pressured/or scared!). It was the smallest plane I’ve ever been in and definitely the ricketiest! The tour was 30 minutes long (long enough if you ask me!!) and so incredible. The landscape and everything that you learn about was definitely worth the 60USD that I paid for the flight. 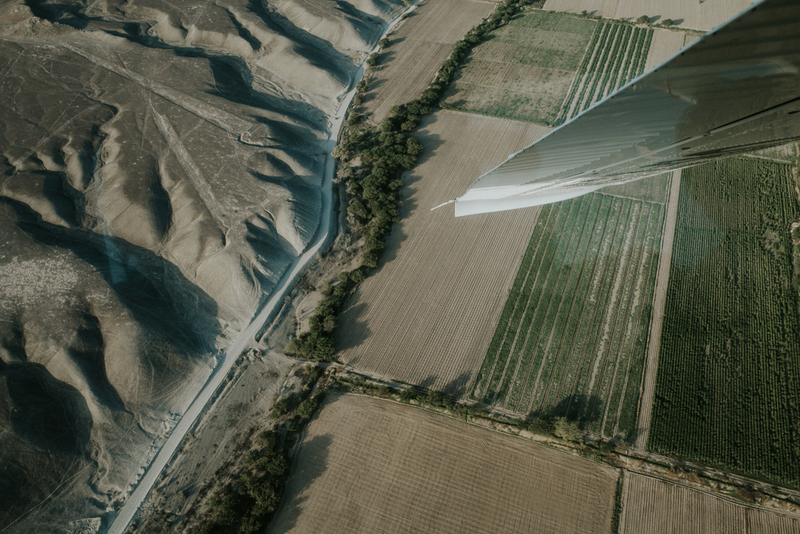 It was nausea inducing and I was extremely happy to breathe fresh air on the ground when we were done – but because of the time of the day our flight began (around 5pm), the sun was nearly setting and the light across the land was breathtaking. We got to clearly see all of the lines and I was just in total awe of everything that was going on. 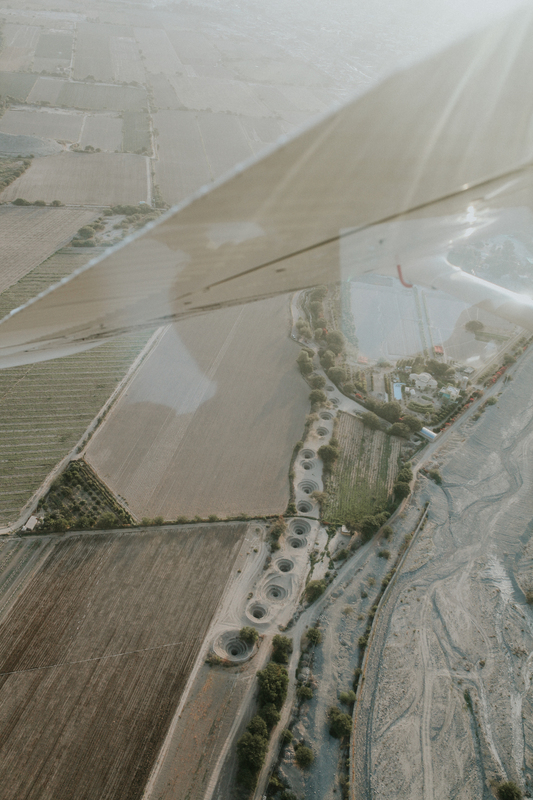 I mean, I’m in a freaking tiny plane, flying above the Nazca lines, in Peru! Definitely had one of those – oh-my-gosh-how-is-this-my-life moments. The plane was hot and stuffy and I was the only english-speaker guest on the flight, but the pilot that was commentating made sure to explain everything in english once he had explained in Spanish to the others. Without that explanation I probably would have missed a lot and not learned nearly as much as I had! In the next photos you can spot a few of the lines that we flew over: the astronaut, the monkey, the hummingbird, and the spider. We also saw: the dog, the condor, the whale, the spiral, the parrot, the hands and tree, and many many more! 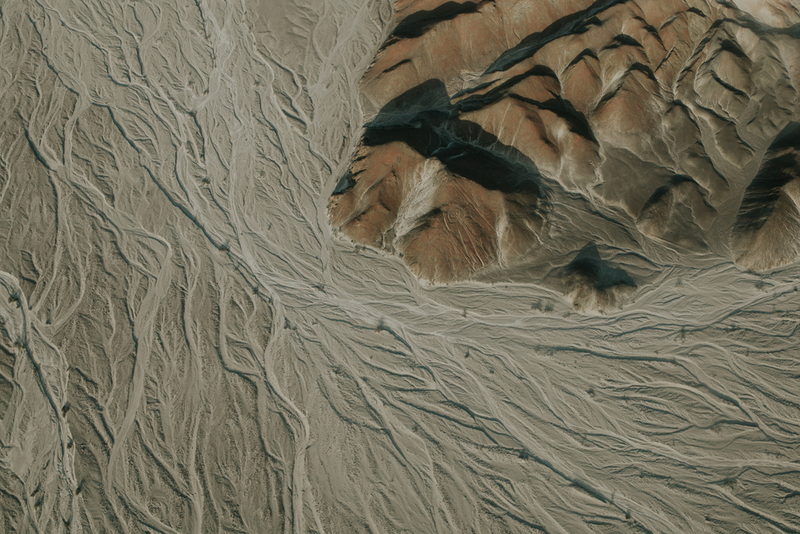 Don't get confused by the geography of the land - the lines are quite small in the photos and are extremely deliberate markings that look man-made. When the flight landed the nice taxi driver took me back into the town. Now I was ready to just relax and walk around, find some good food, and more importantly Wi-Fi so that I could book my next nights accommodation! I had no idea what would await me in Arequipa. 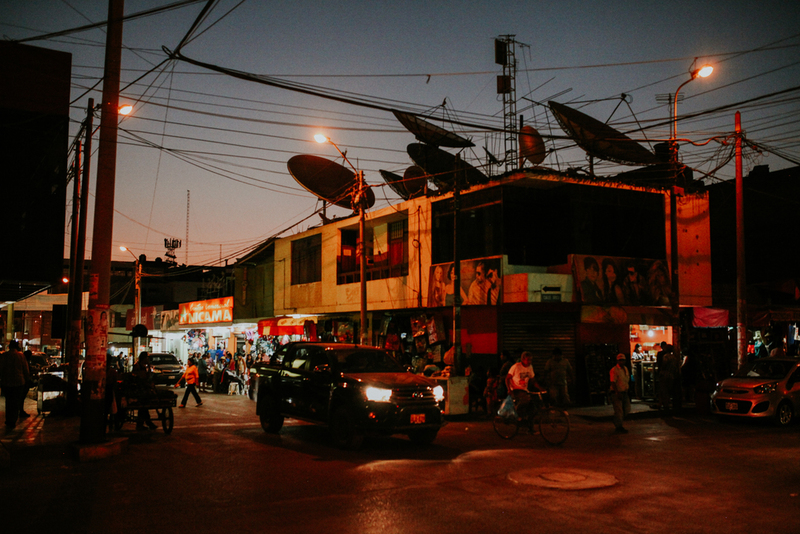 Nazca town began to bustle with crazy car traffic, neon lights, and lots of stores selling socks and underwear. 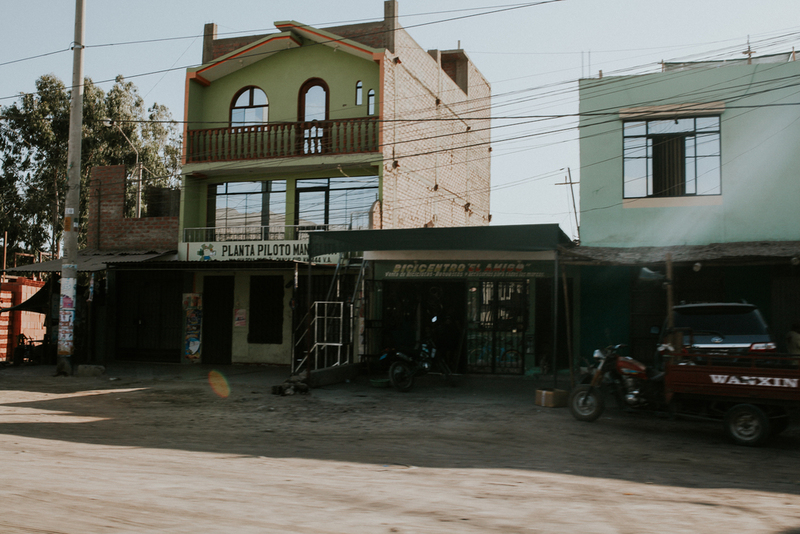 In Peru it seems like the city center towns are full of sock and underwear shops, lots of little toiletry/health product type shops, miscellaneous electronic shops, and tiny little corner stores full of really anything you might want. I found some food, some wifi, and got my fill of wandering around Nazca town. I headed back to the bus station and eventually climbed onboard what I believe was my first overnight bus trip (10 hours). Next thing I knew we were arriving in Arequipa which is where my next Travel Log will pick up! See you there!